Polaroid has announced the launch of its new electronic gadget, named as XSJ-00750M, the 7-inch (resolution of 480×234 pixels) digital photo frame with an unique feature – zoom capability (up to 16x), allowing the users to view and zoom their pictures without using the computer. According to the company, this zoom-enabled digital photo frame will include a slideshow function with 5 stages of adjustable timing, ranging from 3 to 60 seconds. 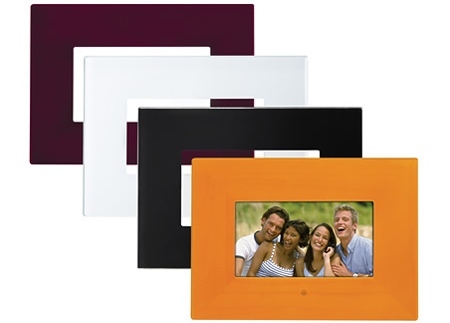 This latest digital product from Polaroid also features an interchangeable frame, 250 cd/m2 of brightness, ratio of 400:1 resistance and USB 2.0 connectivity, along with an integrated multi-card reader to handle wide variety of memory card formats. The new Polaroid XSJ-00750M digital photo frames that only measures 252 × 38 × 183mm will be available first in Japan soon with a recommended price of 17,000 Yen or about $150 but no words on its availabity on other countries yet.